Seattle may be known for its stunning Pacific Northwest views, but the city is also home to a fantastic collection of museums. Whether you're a 75-year-old Picasso enthusiast or an eight-year-old dinosaur lover, the Seattle-area has you covered. The Puget Sound’s most prestigious museum, the Seattle Art Museum (SAM) received a major overhaul in 2007, expanding its space by 70 percent and adding over $1 billion in new art to the collection. SAM has a steady stream of special exhibitions that offer repeat visitors something new with each visit, and exhibitions have included everything from African masks to Impressionism. The museum also has a number of permanent exhibitions from around the world. If the museum's cost of admission is too much, then look to one of the free days. Free days: First Thursdays free to all. First Fridays free to seniors. Second Friday 5-9 p.m. free to teens (13-17). The Puget Sound is one of the nation’s aerospace capitals, and it’s only fitting that it has one of the world’s best air and space museums. The Museum of Flight boasts over 80 aircraft, including the first 747, a retired Air Force One, a Concorde supersonic airliner, and a wide array of aircraft from the First and Second World Wars. There is also a theater with short performances about aviation history. 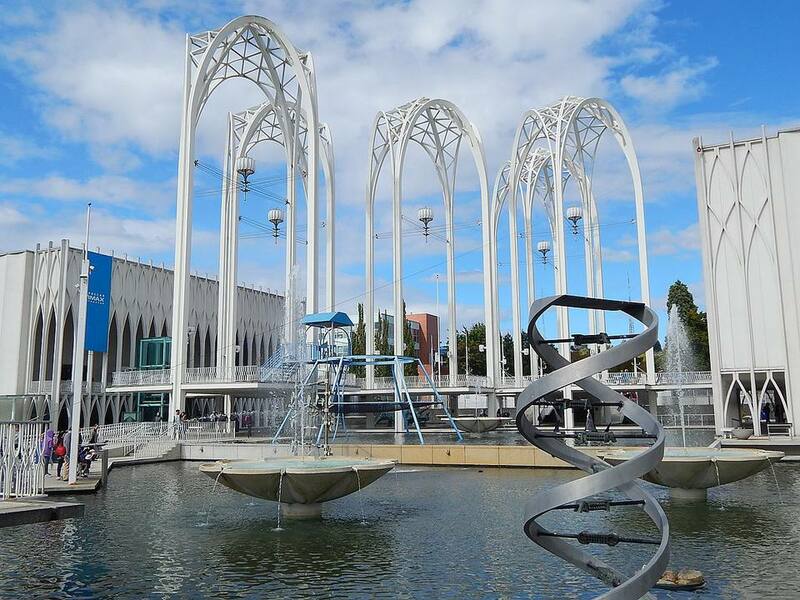 A remnant of the 1962 World’s Fair, the Pacific Science Center is a beloved institution in this high-tech town. The museum has been constantly redesigned both to reflect new scientific knowledge and to make the exhibits as engaging as possible to visitors of all ages. Highlights include the animatronic dinosaurs, a giant insect village, and a science playground. There are also two IMAX theaters and special exhibits that come through on a regular basis that are often some of the coolest exhibits Seattle gets in general (King Tut visiting, for example). Free day: No free days. This natural history museum on the UW campus is the state’s oldest museum and the closest opportunity to take a look at real dinosaur fossils. The Burke features fascinating biological and cultural history, and rotating special exhibits. MoPop (formerly the EMP Museum) has had a tumultuous history, opening in 2000 to great fanfare, but also to a considerable backlash, both at the unorthodox architecture and the notion of a high-tech rock museum. It's been through a few name changes, too, but MoPop pushed new ground as a museum, relying heavily on interactive electronics in their exhibits, an aspect that excited some and frustrated others. In 2004, the museum expanded to include the Science Fiction Museum and Hall of Fame. Today, the museums are united, with joint admission, and has increasingly moved beyond music history to expand to pop culture overall. Free day: First Thursdays 5-8 p.m. free to all. Effectively, a branch of the Seattle Art Museum, the Asian Art Museum is a sizable museum in its own right, yet not as large as SAM. The exhibitions and collections focus on all kinds of Asian art, from ancient to modern. You'll see jade items, snuff boxes, calligraphy, and modern art alike. Situated in lovely Volunteer Park, SAAM makes a great complement to time spent in the park or at the park's conservatory. The Henry may not be Seattle’s biggest art museum, but it’s certainly the most adventurous. This gallery on UW’s campus has frequently changing exhibitions of contemporary art. Frugal art lovers need to look no further than Seattle’s Frye Art Museum, which is entirely free. Not only that, it’s a great little museum, with a wonderful permanent collection of paintings and sculpture from the 19th-century to today.